The Career Codex Accountancy & Finance Career ‘Jump Start’ Course! We are delighted to tell you about the launch of our NEW Accountancy & Finance Career ‘Jump Start’ course! Career coach Simon Gray will open your mind with a whole new approach to career planning and job hunting! We think you are going to LOVE Simon’s course and really benefit from his expertise! Enjoy access to all online video sessions for 3 months as well as 6 online coaching sessions with Simon himself. How can the course help you find the job you really want? …you had the ability to open doors to opportunities others rarely see and the skills to secure the position you really want ahead of your competitors? It can be a common frustration that despite having a wealth of skills and abilities, people struggle to get a response to their CV from job boards or recruitment firms. At the outset, positive feelings and confidence about the future can quickly turn to negativity and despondency. Take a step back and work out what you REALLY want to do with in your career. Find rewarding jobs BEFORE they reach the job boards and compete against less competition. Get inside knowledge from the recruitment industry on what it takes to be successful. Find out the winning 4 pillar formula unique to the Career Codex course. Strategically plan your career to maximise your SUCCESS. Understand the tools and techniques to seek out the best opportunities. As a former professional recruiter with over 10 years in the recruitment industry, Simon has gained a unique understanding of how the job market really works and how to stand out from the crowd. With a mission to help people find the success they deserve, Simon has worked with clients from across the world to support them in finding and securing the positions they really wanted. Simon has published a number of books on job search and career planning. He is a qualified chartered accountant (FCA) and sits on the ICAEW (Institute of Chartered Accountants in England and Wales) Business Committee. Simon is also a freeman of the City of London (Merchant Taylors’ Company). 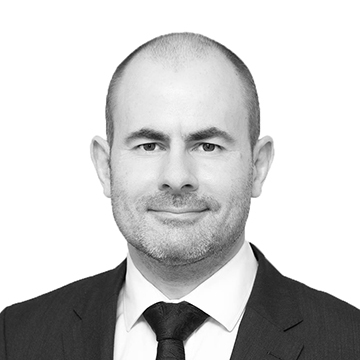 Simon is an experienced speaker and commentator who has appeared in numerous news and financial media. The Accountancy & Finance Career ‘Jump Start’ course will put you in proactive control of your finance career and job search. It takes you through every step of the way to define, find and secure the position you really want, not just the one you’ve seen advertised or had presented to you by a recruitment firm! Having signed up to the course you will have access to lots of video, text and audio content over a 3 month period beginning 1st February 2019. You will also be invited to join six group-coaching calls where you’ll have the opportunity to ask questions specific to your situation and be part of a private LinkedIn group. What you can expect from the course. Time to review your responses. Transformation is possible – Alan shares his story. Advice for getting the most from the Career Codex ‘Jump Start’ Course and how to consume the content. Why do people sometimes fail to find the success they deserve? Why people fail in the job market. Setting the scene for what’s to come. The four stages of successful job search. An introduction to the podcast series. Podcast episode 1 – an overview of how to find success in the job market. Summary of the overview section. Welcome to the environment section. It’s time to discover how the job market really works. The key players in the job market – part 1. The key players in the job market – part 2. The supporting players in the job market – part 1. The supporting players in the job market – part 2. The three conversations employers have – part 1. The three conversations employers have – part 2. A deep dive into the power of ‘marketmakers’. What standing out in the job market really means. How to get ahead of the market and your competition. Why believing is seeing in the job market. What you need to know about professional recruiters – part 1. What you need to know about professional recruiters – part 2. Summary of the environment section. Podcast episode 2 – how the job market really works. Congratulations on completing the environment section. Welcome to the psychology section. It’s time to discover the psychology of success. How do you view the job market? What the psychology of success really means. Key questions and the ‘pinball effect”. Why failure is your friend. Breaking the certainty link to build a probability mindset. Breaking through your comfort zone. Prison or platform of potential? The five principles to change beliefs. 4) Focus on process, not prize. 5) Put yourself on the pedestal. What you need to know about emotional intelligence. Overcoming procrastination and increasing productivity. The Career Codex (Productivity) Matrix. The power of the ‘thinking journal’. How to use the ‘thinking journal’. Summary of the psychology section. The cautionary tale of Bob and Bill! Podcast episode 3 – the psychology of job search success. Congratulations on completing the psychology section. Welcome to the planning section. It’s time to discover how to plan your career and job search. Why planning is essential to your success. Five reasons you need to plan. Why job search is like a business. The three-legged stool of happiness, fulfilment and success. Why focus always trumps flexibility and the law of attraction. The three stages of planning. Stage 1 – defining your destination. Exercise 1 – why are you looking for a new position? Exercise 2 – who do you want to work for? Exercise 3 – what type of position do you really want? Defining the time it will take to find your next position. The relationship between ‘calendar’ and ‘investment’ time. Completing your ‘destination statement’ – part 1. Completing your ‘destination statement’ – part 2. Stage 2 – setting the direction. Daily Action Plan – Template. Stage 3 – maintaining discipline. Creating a personal support system. Combining destination, direction and discipline in a system for success. Creating a Personal Jobseeker Plan. Personal Jobseeker Plan – Template. Summary of the planning section. Podcast episode 4 – the importance of planning your job search. Congratulations on completing the planning section. Welcome to the process section. It’s time to discover the process for successful job search. Your’e now ready for step one. Welcome to step one of the process section. It’s time to discover how to put together an impactful CV / resume. Is there a difference between a CV and resume? Why a CV / resume is essential, but not that important. The two waves – how professional recruiters and employers read them. Foundations of a standout CV / resume. What an employer really wants to know. Does your CV / resume make sense? The CV / resume template discussed. CV / resume – Template. Why you should include hobbies and interests. Welcome to step two of the process section. It’s time to discover how to put together a powerful cover letter, which grabs attention. The two questions to ask yourself before approaching an employer. Why a cover letter is much more than a letter. The three components of a great cover letter. The cover letter in action. Podcast episode 5 – the power of a good CV and cover letter. Welcome to step three of the process section. It’s time to position your message in front of decision makers. The foundations of a successful approach. A balanced portfolio of activity to get closer to the target. The three Ps that drive success. The three types of decision makers. Why you should never rely on others. Getting in front of professional recruiters. Getting in front of employers. Getting in front of ‘marketmakers’. Refining your message with the ‘tell me more’ test. The ‘tell me more’ test. Developing a modern marketing mindset. A lesson in modern marketing. The ‘hire cycle’: see me > like me > trust me > hire me. The gatekeeper – friend or foe? Podcast episode 6 – how to get in front of decision makers. Welcome to step four of the process section. It’s time to take control of the interview. The three stages, which drive interview success. The two keys to interview success. How employers really make decisions. The three documents you need to prepare in advance of any interview. How to handle the interview. The ‘Triple A’ of influence. Take control – the higher baseline. How to control the conversation – the black hole principle. How to transform weaknesses – the 8 Mile strategy. Why and how to fill in the gaps before you leave. Why and how to ask great questions. Why and how to ask for feedback. Four special interview scenarios and how to handle them. How to handle competency-based interviews. A guide to competency-based interviews. How to handle group interviews. How to handle more than one interviewer / panel interviews. How to handle phone / video interviews. Why the interview is never over when it’s over. How to follow up properly. Podcast episode 9 – how to deliver a first-class interview. Welcome to step five of the process section. It’s now time to build your LinkedIn presence. Key principles of LinkedIn and an impactful online presence. The secret key to the ‘hidden market’. Key principles of building an effective online presence. The delicate balance between work and personal. The importance of building a personal brand. The two principal ways to utilise LinkedIn properly. LinkedIn: ‘shop window’ and ‘proactive engagement tool’ (‘SW’ and ‘PET’). LinkedIn as a ‘shop window’ – the reactive approach. Connection types and why they’re important. What’s your policy on the platform and are you a LION? Invaluable real estate – header / photo / professional headline. Creating your personalised URL and visibility settings. The big difference between the summary and experience sections. What to do with skills & endorsements. Social proof – why and how to ask for recommendations. How to make people stay a while once they’ve found you. Your contact information and how to connect with someone you don’t know. LinkedIn as a ‘proactive engagement tool’ – the proactive approach. How to search and notes / tags. Like, share, comment, updates and posts. Why groups are great and what to do in them. LinkedIn Salary and Active Status. Podcast episode 8 – how to use LinkedIn to leverage your job search. Accountex 2018, ExCeL London: LinkedIn for finance professionals – what you need to know and why it matters. Welcome to step six of the process section. It’s now time for effective networking. Key principles of successful networking. The power of networking and five key principles for success. Why effective networking is never about selling. Building your strategy for success: Who, where, how and how often? The ultimate ‘TEC’hnique for building relationships. Podcast episode 7 – how to leverage the power of networking. Welcome to step seven of the process section. It’s time to improve performance along the way. The power of feedback and observation. How to adapt and innovate through observation and feedback. Welcome to step eight of the process section. It’s time to handle the offer and negotiate the best remuneration / compensation package. An introduction to offer and negotiation. Emotion, power shift and pressure! How to receive and handle the offer. How to negotiate the best offer possible. How to handle a pre-offer salary negotiation. Podcast episode 10 – how to handle the offer and negotiation stage. Why and how to find unadvertised jobs in the ‘hidden market’. The psychology of success, and how to keep faith and maintain momentum after setbacks. Planning your future finance career, and your options short and long-term. Deciding what you really want from life and work. How to stand out in a competitive job market to get the attention of recruiters and employers. CVs, cover letters and interviews. How to communicate effectively to generate the best response. The power of networking. How to build your confidence and do it properly. *Please note that these sessions take place at 7pm for one hour but will be recorded for you to watch in your own time if you are unable to attend live. 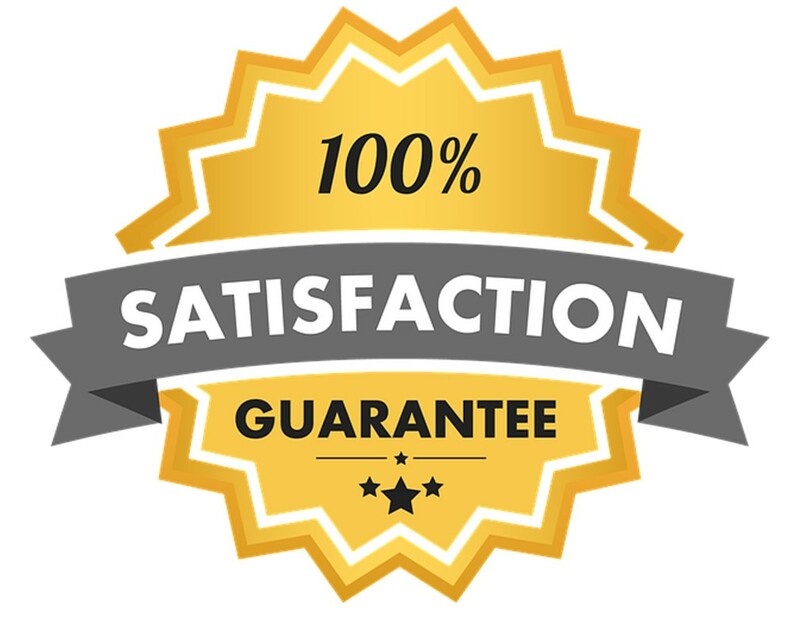 To make sure that you are completely satisfied with our course materials and support, we have a 14-day full money back guarantee. If you’re not happy with the course for any reason we will refund your fees in full. What do Simon’s customers have to say?